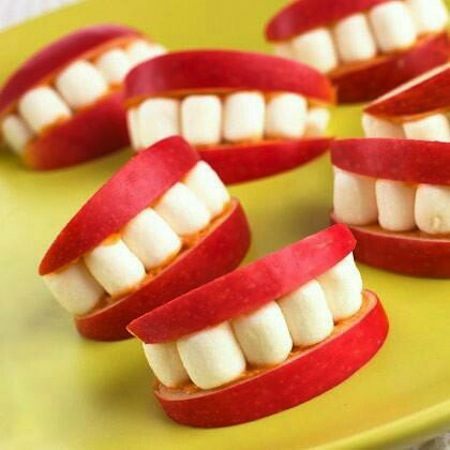 I’ve been doing these apple smiles for some time now, and the kids LOVE them! They’re just as fun to make as they are to eat. Use peanut butter as your glue to hold the mini marshmallows in place. You can make quite a few of these from just one apple. A ghost shaped cookie cutter will do the trick! 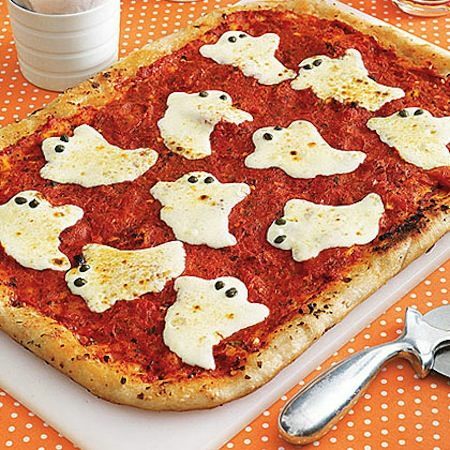 The cheese tends to melt and turn into a big blob if baked too long, so bake your pizza first, and then add your cheese 5 minutes before it’s done. Use pieces of olives or capers for your eyes. 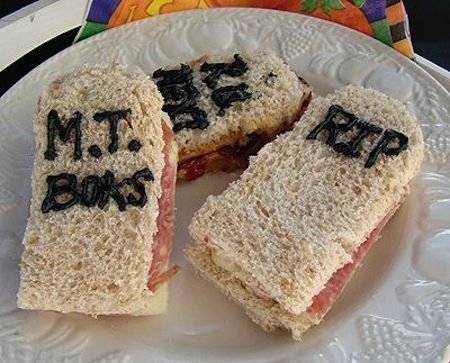 Turn their favorite sandwich into a tombstone! You can get two of these out of one sandwich (depending on the size of your bread). Just cut them to shape with a knife, perhaps using a round cookie cutter as your guide for the top. Place black paste food coloring, ketchup, jelly or mustard in a plastic sandwich bag and cut a very small piece off of one of the corners to use as a piping bag to write your heading.